A little discussed episode of John M. Wells life is presented to acknowledge the relatives who helped in bringing about a successful turn-around for the fledgling family. 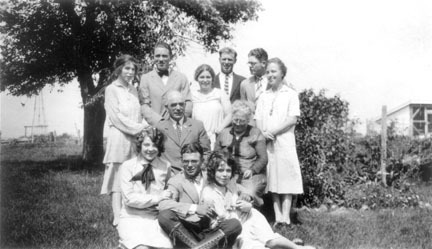 Faced with overwhelming difficulties brought on by the Great Depression and other family matters, John accepted the retreat offered by the Crist families. 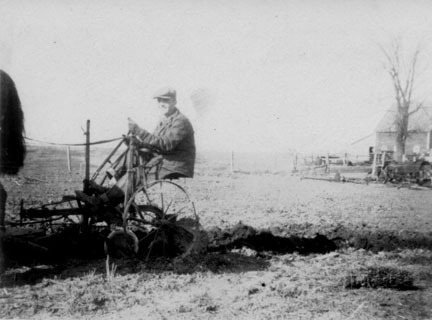 Their farm near Woodburn, Iowa is about 60 driving miles south of Des Moines, IA. More of the story will appear here as it is verified. These pictures were taken in 1928 unless otherwise noted, and provided for our observation by Eleanor Graham. 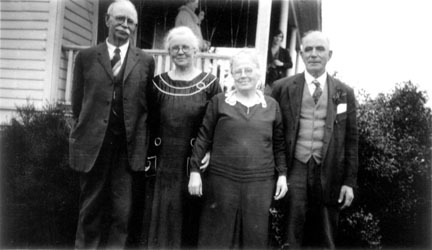 The two Newsome sisters who had married two Crist brothers - Uncle Charlie, Aunt Mabel, Aunt Bertha & Uncle George Crists. 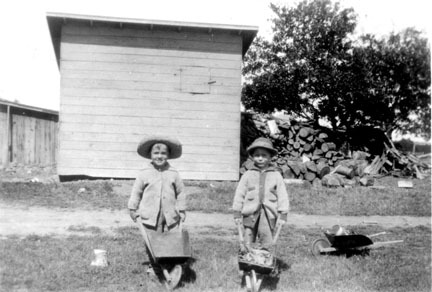 "Family connection - Mabel and Bertha were daughters of Rev. John K. Murphy's sister and Samuel Newsome. 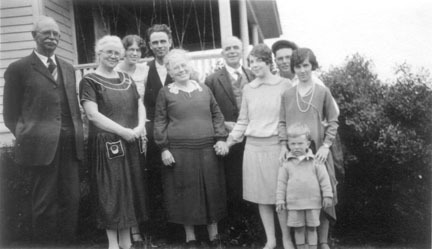 (Small world)"
Back row, left to right, Edith, Roy Weaklend, Wright, Violet Page, John, Tom Reid, George Jr., Mabel, Lawrence. 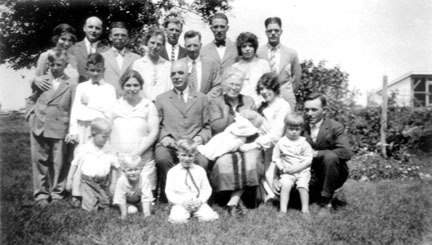 2nd Row, Ellis Reid, John Allan Page, Dorothy Reid, "Daddy" Crist, Mother Crist with baby Edgar Weaklend in arms, Margaret, Raymond Page. Little ones in front, Roy Eugene Weaklend in front of John A.. John Philip Reid in front of his Mother, George Andrew Reid in front of his Grandpa, Thomas Page on his fathers knee.